Complementing the heavy-duty size and capacity of 3" x 3" trailer hitches, the CURT Industrial Duty ball mount is a dependable extension of your truck. 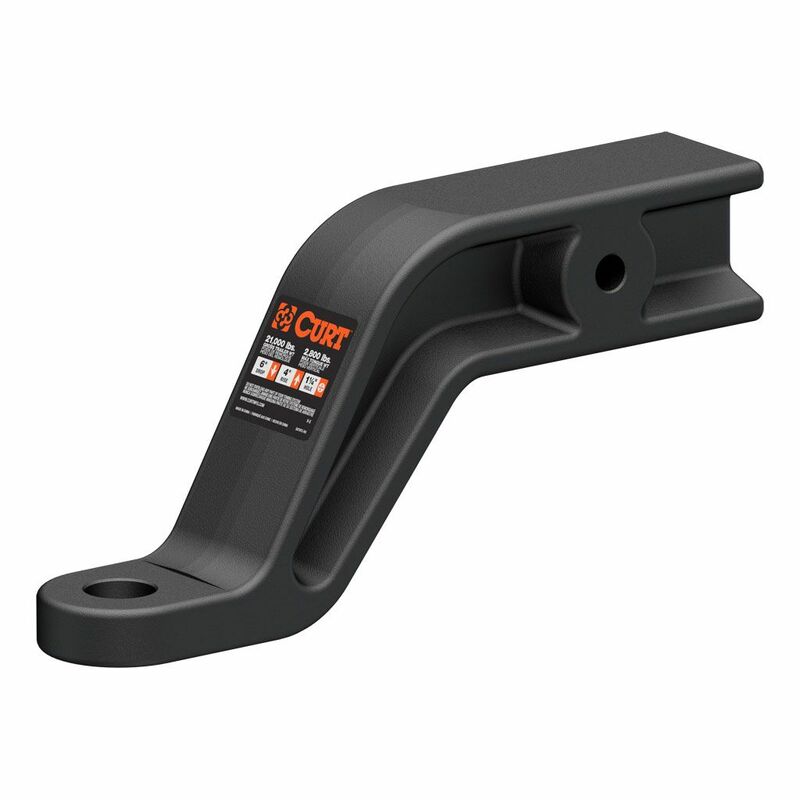 Its 3" x 3" shank is built with an I-beam shape, giving it greater strength for maximum towing capacity. It is constructed from solid, forged steel, making it even stronger for the toughest of towing jobs. To make sure this heavy-duty ball mount can keep up with the hardest-working trucks, we fully test it at our Detroit engineering facility. This allows us to rate this heavy-duty ball mount to 21,000 lbs. GTW and 2,800 lbs. TW. CURT Industrial Duty ball mounts are also built to outlast the elements, featuring a highly durable carbide black powder coat finish, protecting the ball mount against rust, scratches and chipping. This particular ball mount also comes with a 1-1/4" trailer ball hole and a 4" rise and 6" drop to accommodate larger, lifted pickup trucks, helping the trailer to ride level with the road.